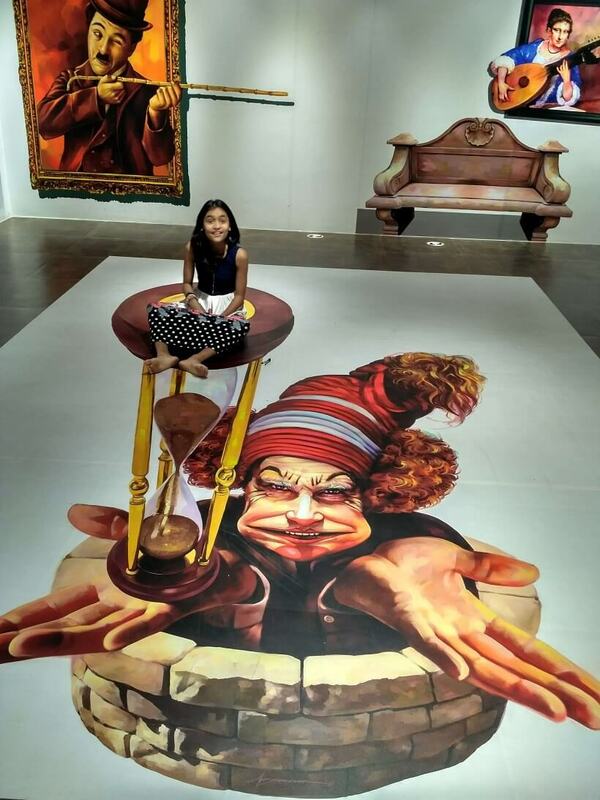 This is the continuation of our previous post 3D Paintings on Wall. These 3 dimensional paintings on Wall are in-fact plain paintings on the wall which looks 3 dimensional when viewed from a certain angle. These kinds of painting are now becoming very famous especially when it started from street art. 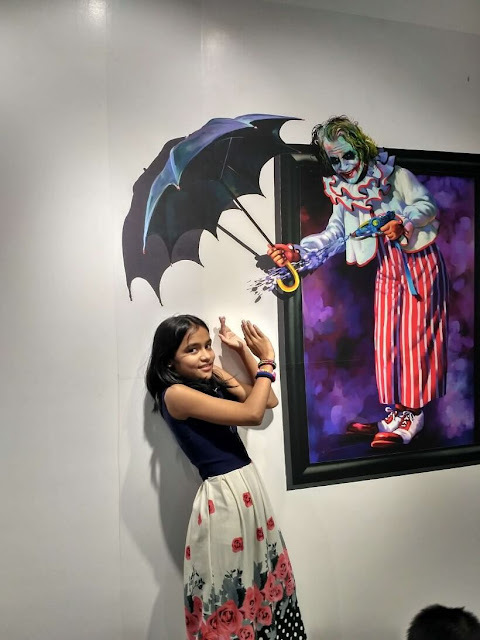 These painting first time came to India in Chennai in year 2016 with India's first 3D Art Museum. Paintings in this 3D Art Museum was made by artist AP Shreethara. Thanks to IONA Entertainment for opening first 3D Selfie Museum in Bangalore. 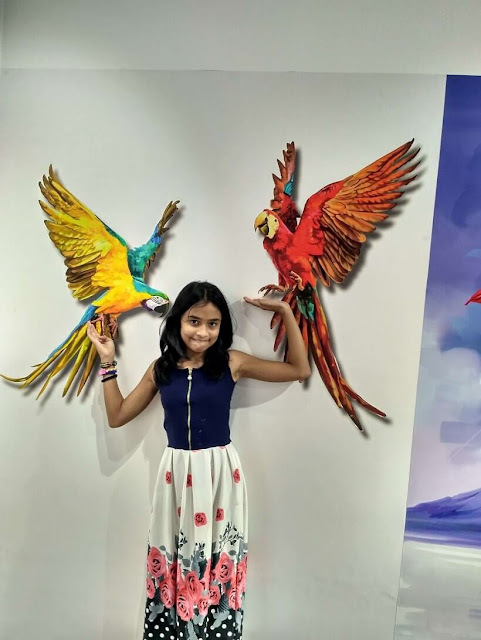 May be this is the 2nd 3D Art Museum in India and looks like these paintings are also made by the same artist who created 3D paintings in Chennai as most of the paintings here in Bangalore looks similar to Chennai's 3D Art Museum. 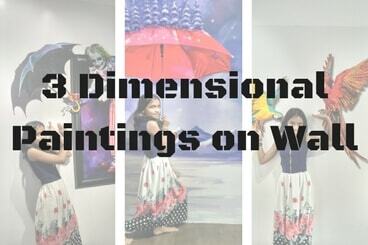 Anyway whichever place you are living, these 3D Art Museum are highly recommended. 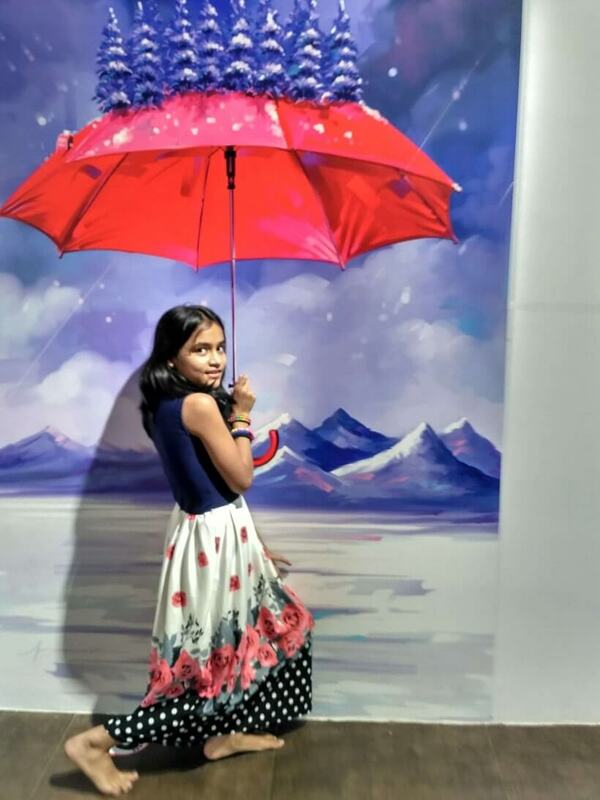 Here we are posting some of the picture clicked in #SelfieMuseum in Bangalore. 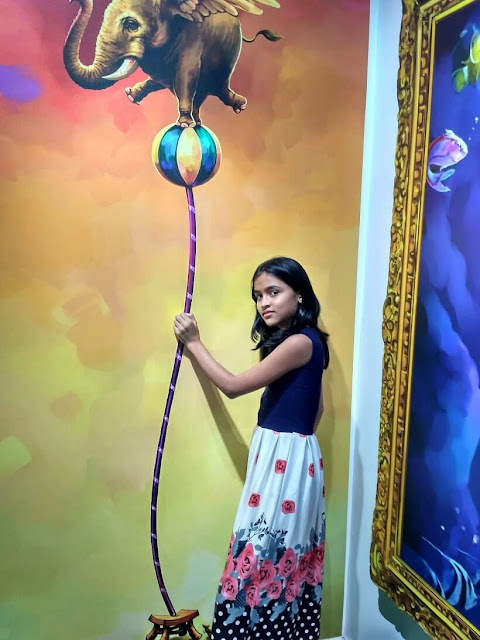 Do post your comments and experience of visiting these 3D Museums. 1. Moving Pictures Optical Illusions to trick your brain: These are the still pictures. However all of these pictures will play trick with your mind and these pictures will look like as if these are moving. Do check it out yourself. 2. Observation Skill Test-Counting Number of Squares Puzzles: These picture puzzles will test your observational skills. In these puzzles your challenge is to count the number of squares in the given pictures. 3. Puzzle Quote Sentences that tricks mind: These are the picture puzzles in which you have to read the given quotes. It seems easy but these puzzles quotes will trick your mind and will give a twist to your brain. 4. Search hidden objects in puzzle images for kids with answers: These are the picture puzzles in which your challenge is to find the hidden objects in the given puzzle images. These are easy puzzles for kids.